Drive Shaft Tubing | Machine Service, Inc. If the failure is a twisted tube, the problem was probably a shock load. This type of failure is usually “driver” related. Popping the clutch or spinning tires that grab abruptly usually twist tubes. 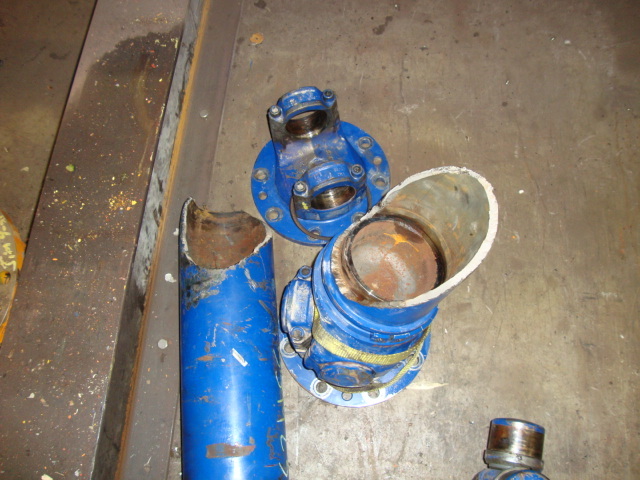 Tubing failures sometimes start at drive shaft assembly and first appear as a failure of the tube yoke weld seam (also called the “circle” weld). Proper assembly requires alignment of the tube weld seam with one of the tube yoke “ears” and proper welding. NEVER start the circle weld on the tube weld seam. ALWAYS start it 180 degrees from the weld seam. This type of failure is usually a “fatigue” type failure where the tube cracks at the start of the weld and progresses around the tube. 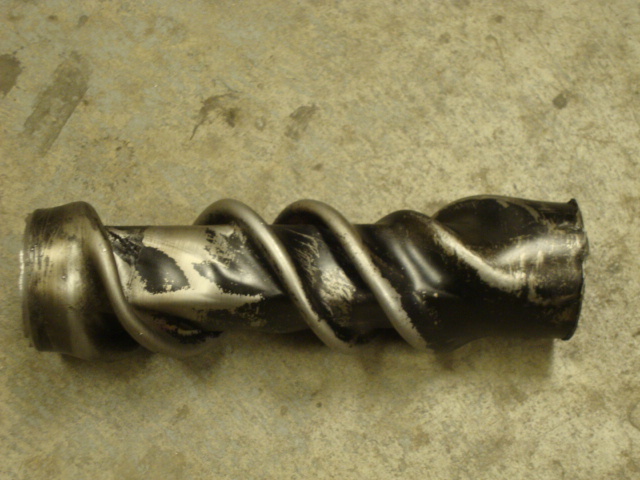 Failures of the tube weld seam can also be caused by high U-joint operating angles that cause large torsional vibrations. Large “torsionals” cause two twisting motions in the drive shaft every revolution and can cause a premature “fatigue” of the weld. Balance weight attachment can also cause premature failure of drive shaft tubing. Balance weights should NEVER be attached within one inch of circle weld. Balance weights that are welded too close to a circle weld can alter the metallurgical structure of the circle weld and can change the properties of the tube material. Either of these can cause premature fatigue failure of the tube. Balance weights should never be placed directly over the seam weld of the tube. Improper straightening can alter the metallurgical structure of the tube, changing the properties of the tube material and can lead to premature failure of tubing. An improper installation can cause premature failure of tubing. Improper U-joint operating angles can cause excessively high secondary couple loads that cause a failure due to bending fatigue. Machine Service engineering recommends U-joint operating angles be no larger than three degrees. 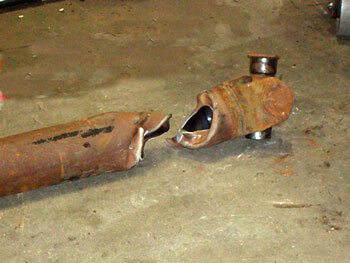 A drive shaft that is too long for its operating speed can cause a critical speed failure. A drive shaft tube that fails due to critical speed is always bent and usually fractures near the middle of the tube. The fracture has the appearance of a tube that has been bent back and forth until it fails. Machine Service engineering will calculate the critical speed of your drive shaft if you suspect you have experienced a critical speed failure. MOST IMPORTANT: IF YOU THINK YOU HAVE A FAILED DRIVE SHAFT DUE TO CRITICAL SPEED, DO NOT REPAIR IT AND RE-INSTALL IT BECAUSE IT MAY FAIL AGAIN. CONTACT ENGINEERING FOR ASSISTANCE.